Along with nobles and commoners, Fletcher endures grueling lessons that will prepare him to serve as a Battlemage in the Empire’s war against the savage Orcs. But sinister forces infect new friendships and rivalries grow. With no one but Ignatius by his side, Fletcher must decide where his loyalties lie. The fate of the Empire is in his hands. . . .
Taran Matharu wrote his first book when he was nine years old. At twenty-two, he began posting The Novice on Wattpad (the online writing website) and reached over three million reads in less than six months. 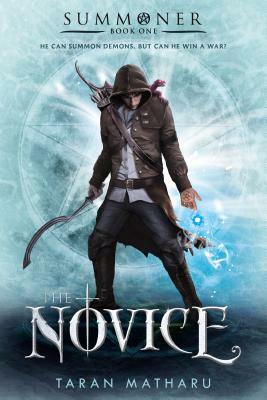 The Novice is the first book in the New York Times-bestselling Summoner series, which includes three books and a prequel, as well as the companion The Summoner's Handbook. Taran lives in London.